While we might not put much thought into it, without energy we wouldn’t be able to accomplish anything. Not only are we made up of energy, but we also use energy to do things. 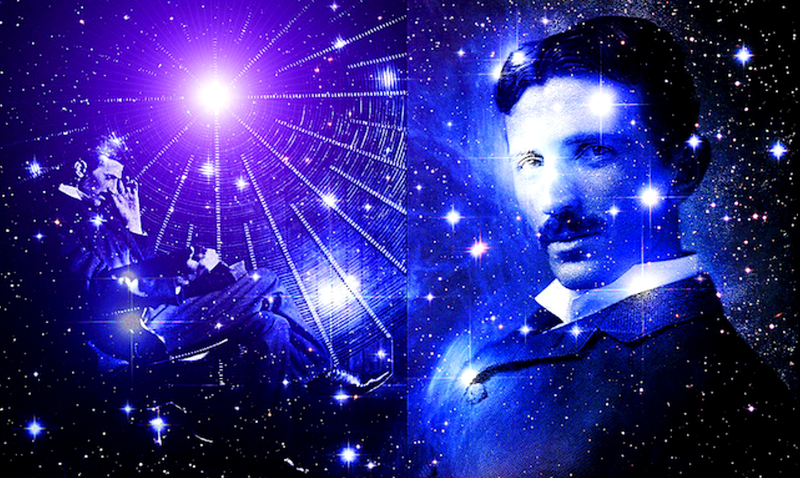 Nikola Tesla for those who do not know was a man wise beyond his years. He was an inventor, engineer, and so much more. Many people know his name for a number of reasons as he helped design the alternating-current electric system and even now his technologies are being brought to life in new ways. That being said, he was not only smart when it came to technology, he also knew the power of numbers, and how to benefit our own well-being regarding our bodies. Tesla wrote a book called ‘The Problem of Increasing Human Energy’ and it goes over so much more than most people realize. Sure, at face value it is a bit complex but when broken down there is a lot that can be taken away from it. In this Tesla notes three things that we as human beings must do and continue to do in order to increase our human energy. Those things are expanding the human mass, reducing the force that is holding back human mass, and increasing the force that is moving human mass. Each of these things have many different solutions that can be gone over in order to accomplish them but none of them are as simple/easy as we try to make them out to be. “To gain your energy from the right sources means you gain more energy from less; reducing the retarding factors means you have less friction that wastes your energy; focusing your motive power towards the direction of the collective human movement means you use others’ energy to boost your energy. Gain more energy, waste less energy, spend the energy so next time you’ll need less to achieve more. Increase human mass, reduce retarding force, and increase the force accelerating the human mass. Follow this process with reason. This I believe is the best way to break down all three things at one time. Through this snippet, Tesla is making it clear that we in order to increase our human energy must make sure we are getting our energy from the right source, focusing properly, and doing the things we know we need to do rather than wasting all our time. We get most of our energy from food and sleep, right? We need to make sure we’re not filling our bodies with junk and running on fumes. Being focused allows us to really get things done and helps us to prevent our minds from wandering elsewhere. The more you think about his words the more sense they will make. Now, this book also goes over the Sun and how important it is. The wheel of energy we are constantly moving forth on is not one that we can just get off of. Learning how to properly move forward with it is a wonderful feat. The Sun is what maintains human life and supplies us with the things we need. Have you ever stopped to think what life would be like without the Sun? Would there be life at all? If the Sun went out tomorrow, and we never saw the light of day again, how would humanity move forward? Tesla thought about things of this sort quite often and thus his research and works, in general, are far more in depth than to be expected of his time. To learn more about all of this for yourself click here and take a peek at the video below. Do you ever think about human energy and whether or not you’re lacking somewhere? I for one know I need to get serious and put my best foot forward when it comes to growing in this positive manner.